Maintaining a healthy body throughout all years of life is crucial not only to longevity, but to mobility and our well-being in general. Science shows us that those who develop good eating and exercise habits not only live longer, but spend far less time suffering from injuries and ailments that make living life difficult and miserable. While it can seem like there are situations in which exercise may not be feasible or practical, there are always options available to those who commit themselves. There may be no better example of a time where many women feel like they should excuse themselves from the act than during pregnancy. After all, what’s the point in maintaining a trim and slim figure when you’re eating for two? As it turns out, there are many reasons to remain both active and energetic during this nine-month period. Below, let’s examine why exercising during pregnancy is a good idea and also review everything you should know about the process. The first question that should come to mind when considering exercise during any pregnancy is the safety factor. Not only must you consider any effects that exercise can have on your body, but you must also consider what could happen to your unborn baby. The concern surrounding this – often coupled with misinformation – has resulted in a lot of urban legends regarding the behavior. As always, consulting with your physicians before making any exercise changes is crucial. 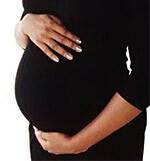 However, in the vast majority of cases, exercising during any pregnancy is generally safe. For those who were already active prior to becoming pregnant, nothing really changes – unless you have a specific health condition that your doctor says could cause complications. For those who have a midwife, asking them for specific recommendations can also be helpful (learn more about what midwives do and how to become one at https://onlinenursing.baylor.edu/programs/dnp-midwifery). For those who may have been living sedentary lifestyles prior to their pregnancy, making a change is usually acceptable. However, given the sudden and dramatic changes in both your body and its chemistry, getting a second opinion from your doctor is crucial. Evidence shows us that most types of exercise do not increase the chance of miscarriage during a pregnancy. 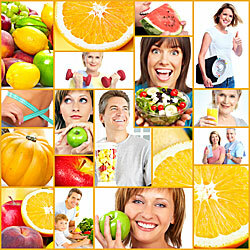 However, some exercise behaviors can cause complications. For example, exercising purely to counter weight gain during a pregnancy can put undue pressure on your body. This can cause stress levels to rise and this can lead to health complications for both you and your baby. With risks and safety concerns being addressed, you may be wondering what the point is of exercise during such a difficult time in life. After all, your body is fundamentally changing in ways you may have never experienced before: why add to that? As it turns out, there are a variety of health benefits that can be enjoyed from exercising during this time in your life. 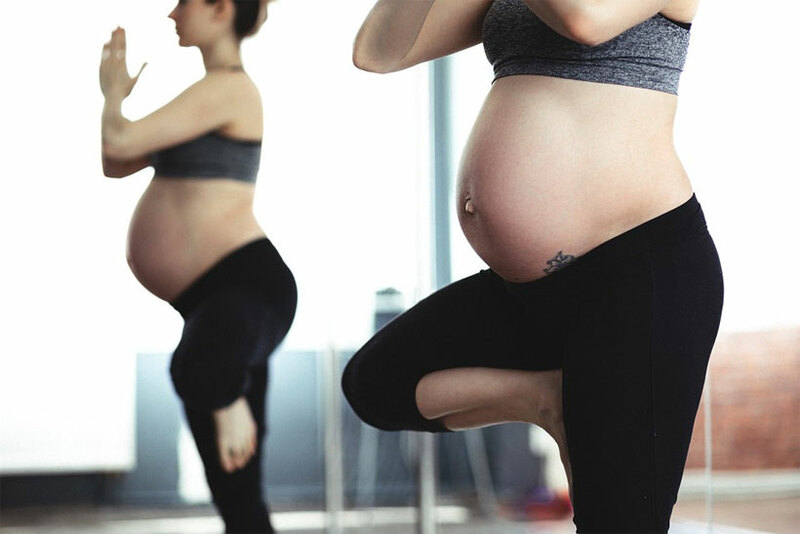 For starters, many of the biggest recurring problems during pregnancy – such as back pain, swelling, bloating and other gastrointestinal issues – have been shown to reduce in severity among those who are exercising. In terms of simply feeling better, exercising while pregnant has its advantages. In terms of your daily energy levels and overall mood, exercise can regulate and balance out any fluctuations and help keep you more in sync both mentally and physically. Lastly, exercising during this stage of life provides an array of physical benefits. While weight loss should never be the goal of exercising while pregnant, you can take advantage of increased strength, better muscle tone and more stamina in general. This can actually help considerably – especially in the latter stages of pregnancy – when added weight and/or strain can make it difficult to get around. All of this has a huge impact on your physical and mental well-being, both of which will also play a role in how well and easily you’ll be able to get back in shape once you’ve delivered your baby. Which Exercises Are Right During Pregnancy? While exercise during pregnancy can be safe and provides many benefits, not every exercise regimen is right for those who are expecting. As has been said multiple times already, exercising with the intent to lose weight or counteract any normal weight gain during the pregnancy is not a good idea. That doesn’t mean that there aren’t exercises that can help you get in shape and have an easier time during any gestation. In fact, most day-to-day exercises are perfectly fine to enjoy during pregnancy if you were participating in them prior to conception. One major example of exercises that should be avoided is high-impact exercises. Whether this involves a particular sport or individual form of exercise, steering clear of any exercise that can cause shock or trauma is crucial. While mothers are well-equipped with physical amenities that safeguard babies from shock absorption and impact damage, there is no need to play around in this regard. Other forms of exercise that should be avoided include those where falling or physical injury can occur, any type of exercise that involves the stretching or twisting of the midsection, and exercise that inevitably leads to the point of exhaustion. Remember to wear clothes that are both comfortable and that provide support; avoiding as much impact as possible is key, but you also don’t want to overheat or become uncomfortable. When exercising, stick to surfaces and areas that are level: this will help minimize any chances of falling or injury. Make sure that you are eating an acceptable amount for a pregnant woman who is also burning calories, as failure to do so can cause complications. Also, it’s a good idea to not exercise immediately after eating; this can cause stomach aches, indigestion and other irritating issues. If at any point you feel overheated, dehydrated, dizzy or weak, discontinue the exercise immediately and wait until you feel better. Likewise, if you’re feeling like this before an exercise, put off the regimen until you are back at your best. Despite common misconceptions, exercising during pregnancy is a perfectly normal and healthy occurrence for most women. As long as you consult with medical professionals beforehand and take the proper precautions, creating a better body and mind during this trying time is achievable.